Dental crowns are fixed prosthetic restorations, embedded on previously ground teeth, after root canal treatment. We use them in situations of significant damage to the crown of the tooth, which we can not rebuild with composite materials or onlays / inlays. A crown is the top part of a tooth that is visible in the mouth. Dental crowns are made of porcelain, used in a situation where the tooth, which is very damaged by caries, is rebuilt with large fillings that do not provide anatomical shape or proper aesthetics. Their primary role is to rebuild the tooth identical to the natural one and improve the aesthetics of the teeth. The crown is always individually selected and adjusted to the anatomical conditions of the patient. After it is done, the tooth looks natural, aesthetically and can not be distinguished from the others. Porcelain crown made in CEREC technology, now pay from 1300 PLN! on teeth permanently stained, with enamel defects, unfavorable shape or incorrectly placed in the dental arch. When one or more teeth are missing, a dental bridge is an option to fill the gap between teeth. Teeth may fall out due to age, extracted because of severe decay or trauma, or even have been absent from the very beginning. Whatever the reason, missing teeth can be problematic when chewing, eating or talking as well as leaving an unsightly gap. A dental bridge is held in place by the teeth on either side of the gap, or it can be held on one side only. 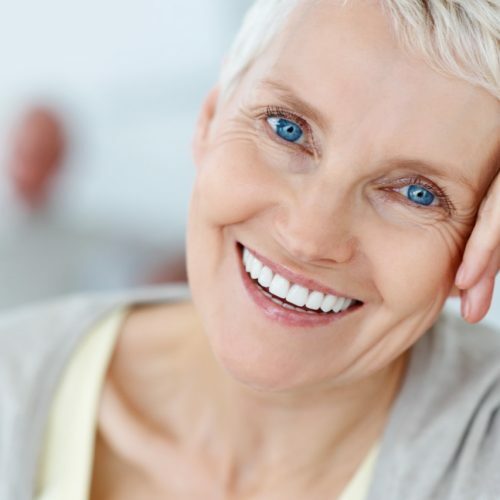 An alternative to replacing missing teeth are dental implants or partial dentures. Our dentist in Richmond will advise you of the most appropriate solution for you. When do we use a Dental Bridge? to avoid gum disease and the development of caries caused by the retention of food in places with missing teeth.